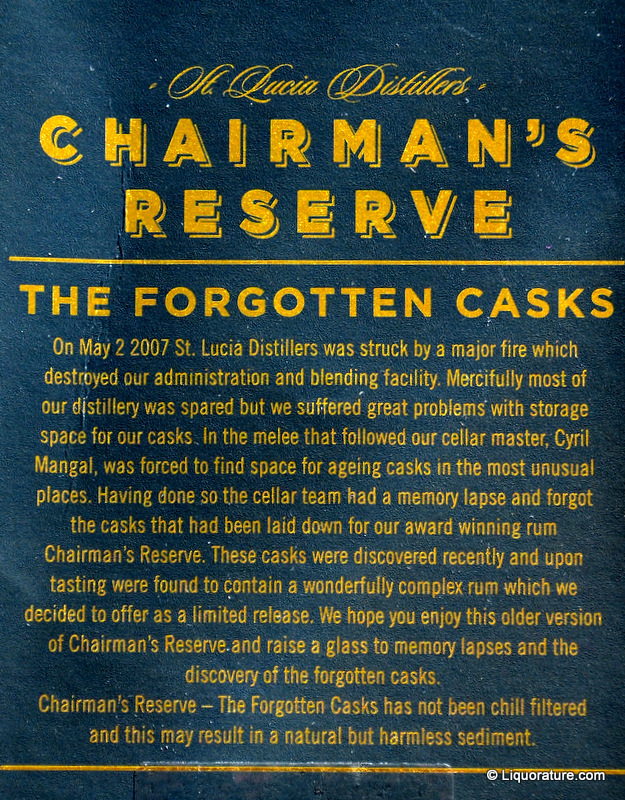 The ad copy reads like a dream: casks squirrelled away in 2007 when a fire ravaged St Lucia Distillers warehouses, were misplaced and then found, and when tried, evinced a more complex flavour profile than that of the standard Chairman’s Reserve (which, alas, I have yet to sample). Is it, as it is marketed, something special? I have a reason for leading in this way: the other day while Mark the Mad Rock God was receiving instruction from his guitar Yoda, Yoda’s wife and I ran four separate St Lucia distillers products through the wringer (the Forgotten Casks, the Admiral Rodney, the Renegade St Lucia, and the 1931). All were good, all were tasty. Yet somehow, if even by a nose, the Forgotten Casks variant finished in the rear in spite of its overall quality. In other words, there were three other products by the same distillery that beat it. 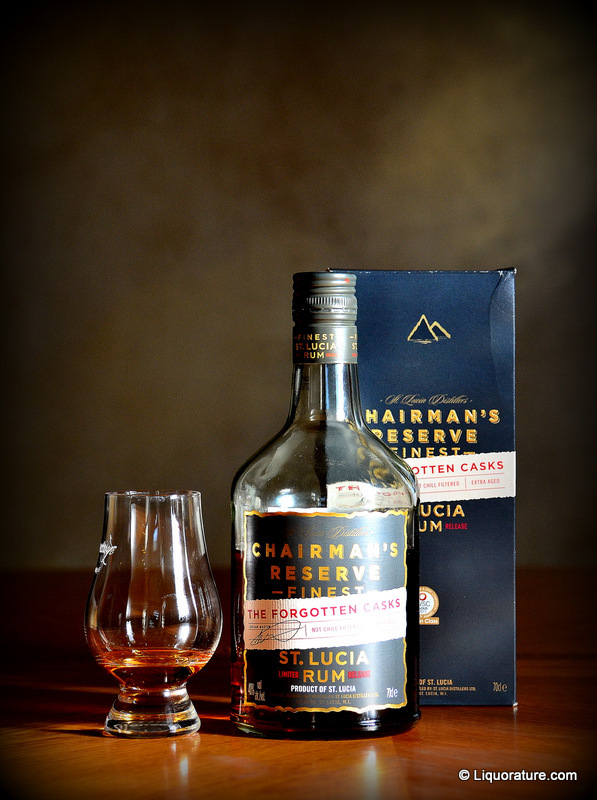 Speaking of the maker: St Lucia Distillers was formally born in 1972 when the two remaining distilleries on the island — the Barnard Family Estate in Dennery, which was for the most part producing strong white rums, and the Geest family distillery at Roseau — merged to form a joint venture. Today, St. Lucia Distillers Limited is located on the site of the old Geest Distillery, once a part of the Sugar Manufacturers mill in Roseau, on the west coast of St. Lucia. In 2005 the Barnard family, sold to CLICO, with third generation rum-maker Laurie Barnard staying on as Managing Director.The aged plant from the two original distilleries which formed the company was replaced in the second half of the 1990s with a new two-column still, which permitted a rapid diversification of product lines: vodka, gin, brandy, many other rums. However, as a result of St Lucia’s move away from land intensive sugar cane cultivation to bananas, they no longer grow their own sugar, but import molasses from (where else?) Guyana. Both the new stills and a secure source of supply ensured that the company was able to expand and it has created a good export market to Europe and Africa. The arrival of the medium bodied rum was a shade heated, though not so much as to be unpleasant — at 40% I would have been surprised if it had been. The light smoky background persisted under a soft kind of light crispness: Mary, who was kind enough to sample this with me, suggested a wine lover – particularly one who appreciated a Sauvignon-Blanc – would probably really enjoy this baby. As we sampled back and forth we noted tastes of a buttery creaminess, English biscuits, and then caramel and toffee. And a driness that led to a medium long finish redolent of that same creamy caramel. I’d hesitate to add this rum to a mix…it’s borderline, still a bit rough around the edges and needing some couth, yet good enough for the curious to try on their own. So: the Forgotten Casks are officially a limited edition of misplaced casks now found and bottled. It’s considered by the makers to be a premium rum. Tastes pretty good, in my opinion. You want to intro someone to rums (especially a wine drinker)…good place to start may be here. All this is good. But it’s not as if, like the original Angostura 1919, the barrels were superlatively enhanced by the fire, or lost for literally decades. These barrels were misplaced for about four or five years, and all that means to me is that they were aged a bit more. The rum is simply not an undiscovered steal or some unbelievably good rum that somehow slipped past us. It’s a good rum, a tasty rum and a nice rum. That it isn’t an utterly premium undervalued rum has more to do with its marketing promo campaign than the fact that it’s a decent product, perhaps matured differently and tasting well for its age. I honestly don’t think they needed to state that the barrels were lost and found, because the Forgotten Casks rum stands up quite nicely on its own without further embellishment – all they really needed to say it was an eight or ten years old or something. 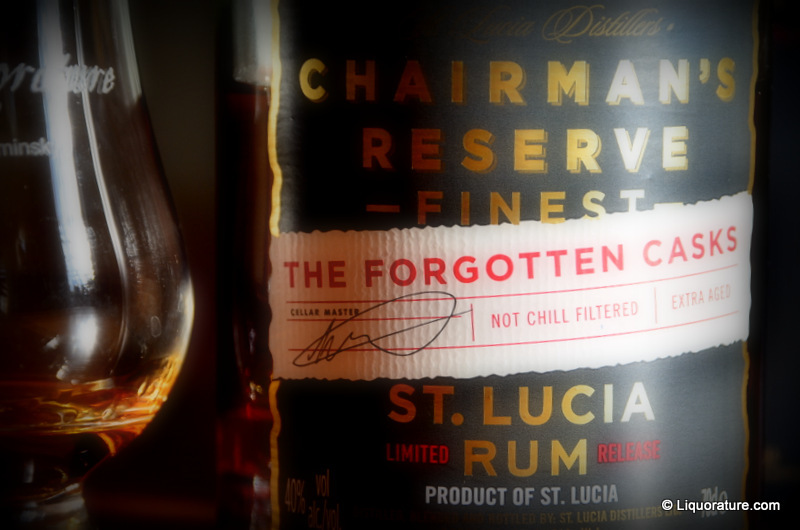 And the problem for St. Lucia’s Distillers this created, in my opinion, is that by naming the rum as they did, they created an expectation it did not meet, and a cachet I don’t think it quite deserved. Just as a closing note: the order of the four rums in my tasting (the reviews for which are not yet complete) is from bottom to top: Forgotten Casks, Admiral Rodney, Renegade and 1931. Less than ten points separate the first from the last, and all exceed 80, which qualifies as good for me and says a lot for the overall quality of the line.